When I planted my tomatoes back in March, I figured they’d be toast by early July. But they’re doing pretty good thanks to a cooler spring and early summer. There still are a lot of flowers on the bushes, not to mention fruit, so I’m hoping that they’ll keep producing for another couple weeks, despite little rain and upper 90s in the forecast. And, because one of gardening bibles (it’s okay to have more than one, right? 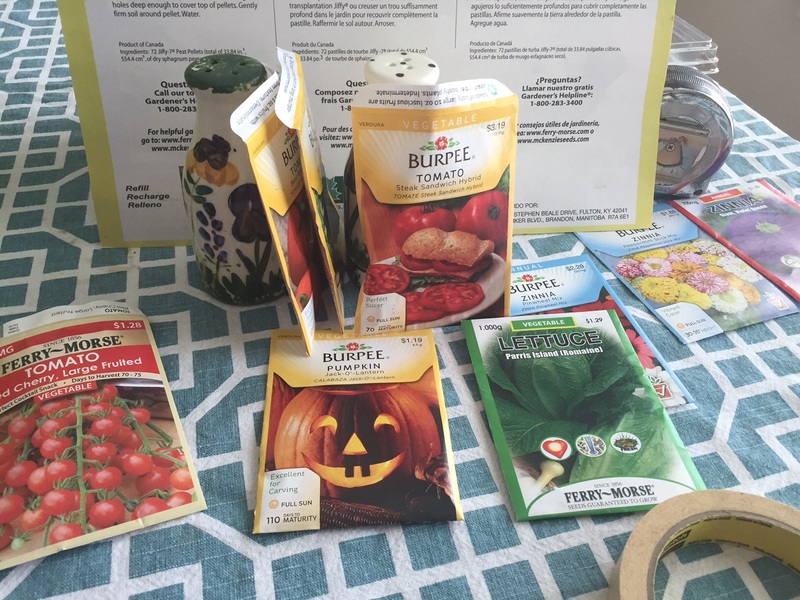 ), “Month-by-Month Gardening in Texas,” told me to, I planted seeds for a fall crop today, too. Tomatoes, pumpkins, lettuce and, of course, zinnias. 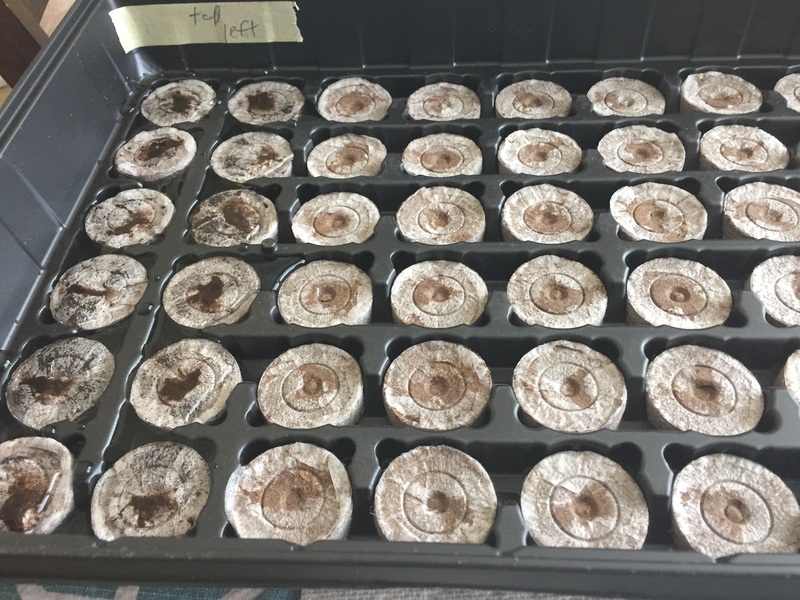 I think there are probably other veggies I want to plant, but to start with, I got tomatoes (four varieties), lettuce, pumpkins and zinnias into peat pellets today. The gardening book says all should be planted now for transplanting later. I’d also like to try peas and beans again in the fall, but if I do pumpkins, I’m not sure how much room I’ll have. Broccoli, too. Someone locally told me broccoli does really well in the fall and winter here, so that sounds intriguing. of course, I do have a small greenhouse stored in my garage, so maybe that’s an option for the winter. Now the question is: Will they grow? 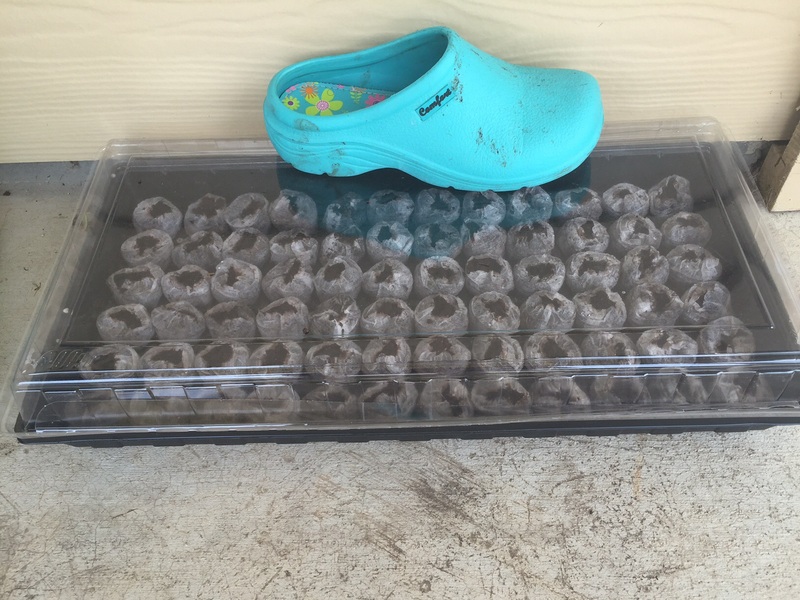 For now, the mini greenhouse with the peat pellets is sitting on my back patio, one of my garden clogs anchoring the top so it doesn’t fly off during the windy days we’ve been having. I also added a few decorations to the fence around the garden today. 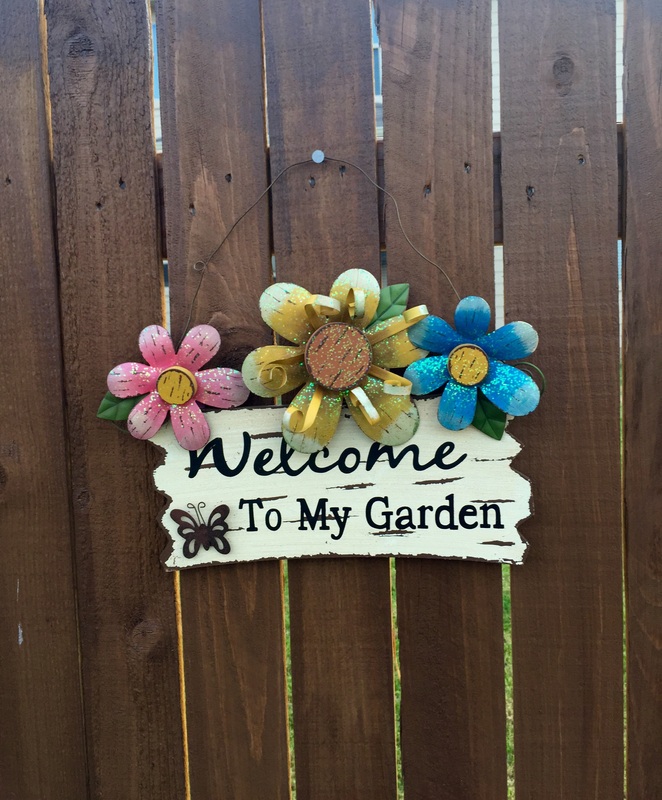 I suppose not many people other than me will see the “welcome” sign, but hey, I thought it was cute. 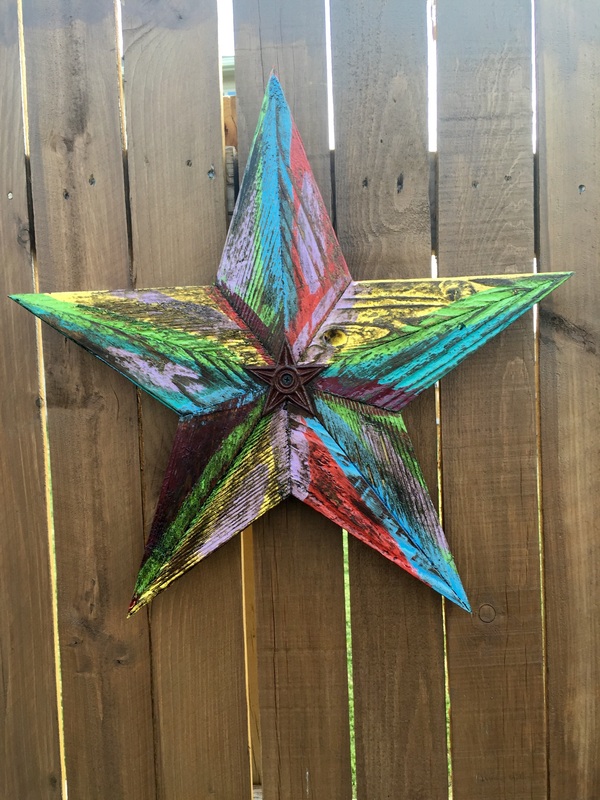 A colorful Texas star is a nice addition to the backyard.